Is it time to simplify your training ? It seems to be human nature to try to fix things that aren’t broken. To complicate things that should be simple. To add things to improve results. The bodybuilding industry indirectly encourages new trainees to do the same thing, with training methodology and nutrition. 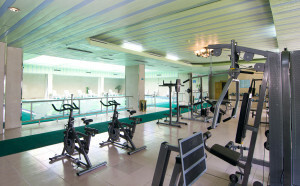 It instructs them how they should train, and what they need to eat in order to attain their dream body. It bombards them with information in magazines and online. For an aspiring trainee this information overload presents a level of complexity that can paralyse them. In the midst of this plethora of information, how does a new trainee know which routine to choose, which supplements to buy? Who’s advice to follow? It is unfortunate that sophisticated marketing today, makes discerning the quality from the crap increasingly difficult. Additionally information overload makes training instructions overly complicated and confusing. 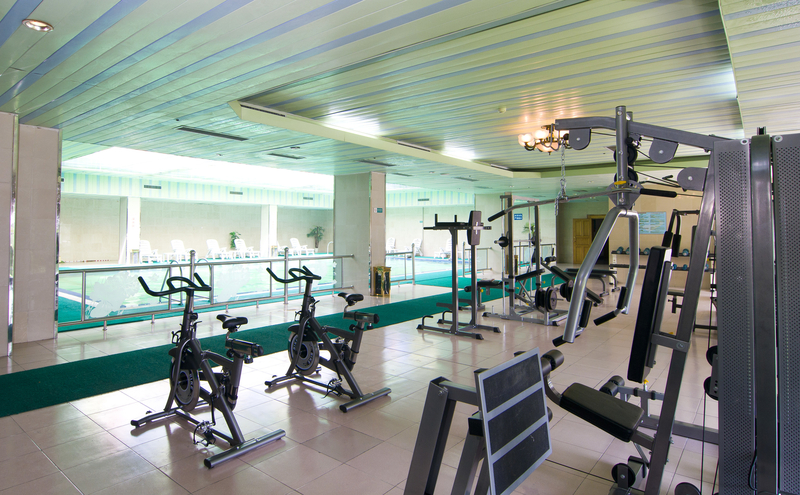 Admittedly there are now state of the art gyms, with the most modern high-tech shiny equipment, and a multitude of supplements, designed to meet your every health, strength and muscle building need. However, utilising futuristic-looking, complex machinery purporting to give your body the ‘ultimate workout,’ is typically inferior to tried and tested barbells and dumbbells. Using free weights on basic, compound multi-joint exercises, is still the most effective means of resistance exercise ever invented. The advancements of the sport of bodybuilding within the last century may look astounding. The sad fact remains however, that the industry is also still pervaded with misinformation from snake oil salesman who’s only interests are to steal your hard earned money. When I originally started my weight training career I was exposed to less variations in training routines than a newbie starting today. My training and nutritional information came almost solely from industry magazines. In the beginning I basically stuck to one routine, and made fair progress gaining strength and putting meat on my frame. In order to increase my bodybuilding knowledge, I eagerly awaited the publication of the muscle magazines, to read the best training methods to employ in order to get big and strong. This was a double edged sword however, as the magazines were trying to sell me courses and supplements. 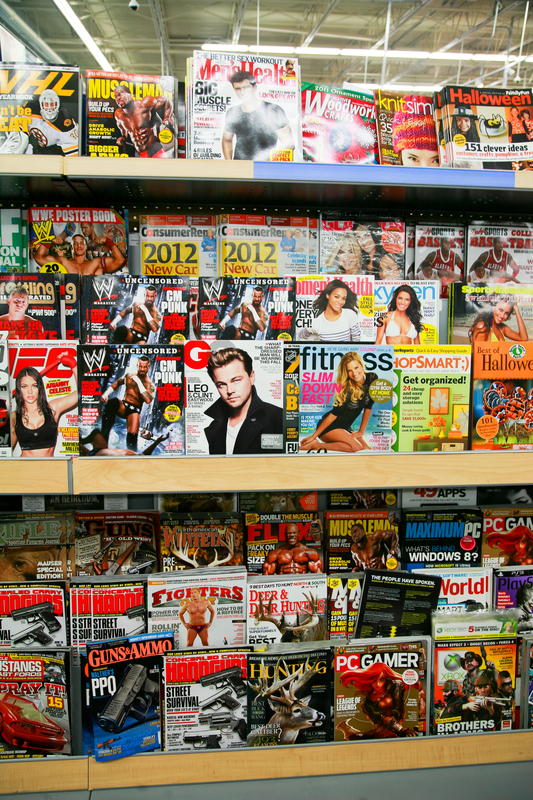 The content of at least 50% of these magazines appeared to be advertisements. 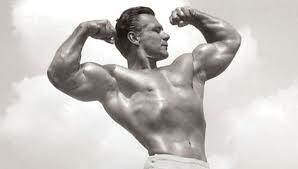 Even in the magazine age the marketing gurus were incredibly seductive – Joe Weider for example was a marketing genius. I remember buying kelp and alfalfa, after I’d read an article in Bodybuilding Monthly, informing me that when ingested in combination, they were as effective as anabolic steroids. Needless to say their consumption did not accelerate my training results one iota. I stumbled across magazine articles, providing different training solutions to the same problems. How to build big biceps, peaked biceps, a washboard midsection and other desirable muscular attributes. Additionally I was presented with multiple workout systems and diet protocols all claiming to facilitate achievement of my desired goal. Of course I incorporated some of this advice into my existing workout routines, and it resulted in my training becoming more complex. My workouts were overloaded with isolation moves, especially for my arms. What I didn’t realise, but was staring me in the face, was that instead of adding exercises, I should have been doing less in order to simplify my training. At this stage of my weight training career however, being young and naive, I was believing everything and anything I read in the muscle magazines. Additionally much of this information was contradictory causing me even greater confusion. The numbers of sets and reps recommended to elicit optimal gains in size and/ or strength varied according to who’s article you read, or who you listened to. The optimal training frequency and the system employed – split, double split etc. Should you utilise high or low volume training? The nutritional instruction was similarly becoming more confusing and contradictory. And that was before the internet! Weider mags dominated in the 1970s and were full of training implements and supplements. These would supposedly turn you into a muscular phenomenon like the featured bodybuilders, in a short period of time. Rather than encouraging you to simplify your training, you were presented with various muscle building principles, and workouts to follow. You were constantly bombarded with huge bodybuilders pictured using supplements and reminded that the reason that they looked different to you, was because they used this or that product. So you bought the stuff, it tasted horrible, and nothing different happened when you ingested it – it never did what it said on the tin. The real answer to your bodybuilding aspirations was staring you in the face – simplify your training, eat a balanced diet and get good at the basics. But you didn’t know that! So many people were, and continue to be misinformed by the magazines. It doesent feel great to know that the majority of the information you read in the magazines is wrong, misleading, or completely inaccurate. They’re also taking money from you – it’s theft, and its a crime. My advice generally would be to not buy these magazines. You need to rely on a source of information you can trust. If a magazine is disguising the fact that they own, or are financially tied to a supplement company, then how can they possibly have any credibility? There were admitedly a few more reliable mags around at the time I commenced my training, which gave more objective, less biased advice on building size and strength. As previously stated, diversity of information although confusing, was much less in the earlier days than it is now, in the computer age. As now, none of these publications were honest and up front about the real reason bodybuilders were so huge, cut and muscular. They would rather you believe it was a result of the various protein supplements they were selling, or their new muscle confusion training system. In fact much the same as today, on the internet most of the information gleaned from the muscle magazines, was actually thinly veiled advertisements disguised as training articles. It goes without saying that no information was forthcoming concerning bodybuilders drug intake. Indeed I remember this being a very taboo subject as it still remains to this day. Now in modern times however, things are far worse for trainees with regard to information overload. Since the advent of the internet things have changed dramatically, and a few taps on the keyboard for a cursory internet search can present you with a huge amount of often conflicting info. A number of dilemmas raise their ugly head – should you eat clean all the time, adopt a system incorporating cheat meals, cycle or back load carbohydrates? What should you do about pre, peri and post nutrition? Which supplements do you use? What should you do about cardio? Should it be fasted or non-fasted? Should you avoid cardio and adopt high intensity interval training instead? What time of day should you train to optimise hormonal response?? I could continue ad-finitum on this and it would provide no further clarity. Information even for the knowledgeable trainee has become confused and contorted by all this unnecessary additional crap. The result of all this information can often be paralysis by analysis, a term many of you may be familiar with. If you have arrived at this point you need to ignore all this peripheral nonsense – it is not serving you in any positive way. Strip away the unessentials. But what are they you ask? It is human nature to look forward, and find cutting edge information on more productive means of achieving our goals. We are conditioned to believe the most modern training equipment, complex workouts, and the best supplements must be key to the results we seek. Additionally we all want a quick fix and look for the easiest methods to achieve this. Commercial interests cleverly employ modern marketing, designed to tap into these psychological traits, and exploit them for financial gain. If something appears too good to be true however, then it generally is. Until you are knowledgeable, or have access to someone who will guide you correctly, you are much better off sticking to the basics. You need to simplify your training, not to make it more complex. When we strip away the inessentials we are left with a number of core movements, which effectively develop the body as a unit. Instead of looking forward to seeking training advice that is available now, you would actually be better off looking back, way back. Let’s take a little journey back in time. If you were able to take a look at a training manual from the early 1900s, and compare it to one from the present day, you’d observe a similarity between then and now: Exercise in itself is the same as it ever was. Yes, it has evolved, but has changed very little. Skeletal muscles do the same now as they always have – they push or pull, and every exercise does one or the other. The old masters knew this, and formulated exercises and routines in many cases the same as the effective ones that are employed today. The training systems of the old school masters were learnt by trial and error, blood and sweat. The basic compound movements that they employed were, and remain, the best means of acquiring optimal size and strength. These guys were pioneers, had few teachers, few magazines, and scant knowledge to draw upon other than what they had learned via their own experiences. They had no secret exercises or high-tech equipment. Lets apply this rationale to your present training. To begin with anything over and above around half a dozen basic compound movements are surplus to requirements. So if your currently doing lots of isolation work for your arms for example, you need to simplify your training and get rid of that straight away. In fact, get rid of all isolation work for now, and stick to compound movements. There are no complex methods that need adopting to get big and strong – the basics work best, always have and always will. Those who endorse or sell more complex or secret, special protocols are doing so to attract the gullible wanabee who still desperately believes there is a secret, or a short cut. You don’t get big and strong by performing multiple different exercises for each body part. You don’t improve your physique by employing special exercises or the latest secret training method or muscle building super supplement. They don’t exist. You do get big and strong by performing five or six compound exercises effectively, getting adequate rest, and ingesting a balanced whole food diet. Hi – tech machines that look pretty and follow precise grooves, are easy to utilise and remain seductive. A demon whispers in your ear that pro bodybuilders use machines effectively. Drug enhanced professional bodybuilders however do not need to work hard – their physical system is chemically enhanced to produce muscular gains with minimal effort. For drug enhanced bodybuilders machines will give the desired results. For natural trainees who wish to get big and strong however, they are not nearly as effective as simple compound moves performed with free weights. The truth is it takes many years to build a great physique naturally. If you adopt the natural path to muscular size and strength, the journey may be a fairly long one, but the size and strength gains will be real and sustainable. If you want it quickly, you can choose to risk your health and use the other path, but bear in mind your success will be temporary. Your body will revert back to its former levels when you are off the drugs. Ignore the marketing BS you read in the magazines, or on websites. Simplify your training – don’t allow it to become too complex. Stick to the basics, and if you desire to follow a system to aid your training efforts, then look at Stronglifts 5×5, or Starting Strength. If muscle building is your priority then maybe follow Eric Helms’ hypertrophy routine. Whether you choose to follow a system or not, simplify your training, and stick to the basics.